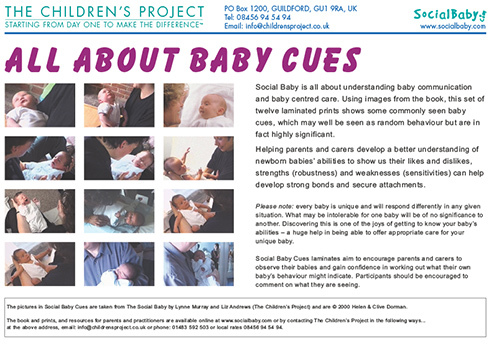 Using original footage from The Social Baby book, All About Baby Cues shows a selection of baby behaviours that might not seem very significant, but in fact give a good clue to your baby's likes and dislikes, and how they are trying to show you this. However, baby cues are not an exact science! Every baby is different and no two babies are the same. This means that babies will respond differently to the same situation. This is key to understanding what babies likes and dislikes, and their strengths and sensitivities. This DVD reassures the viewer that what they see is real and meaningful. Click on image to play clip. Most of all, make it enjoyable to discover your baby, they thrive on emotional warmth, positive touch and smiley faces! * The original analogue footage in this DVD has been digitally converted and is not as high quality as that found on modern cameras. A beautiful resource to use on a one to one, complimented by the cues booklet. It brings to life the power of communication, interactions, building upon bonding and attachments. 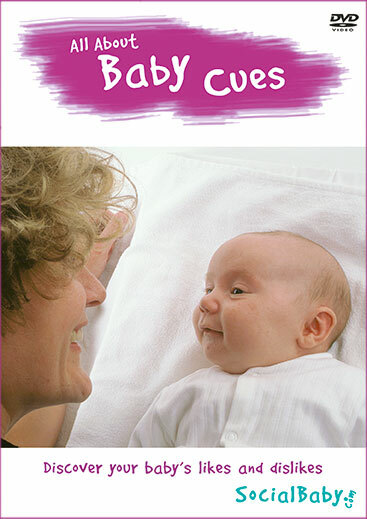 A set of 12 A4-sized colour laminated prints showing the clear but subtle cues that babies may be being overloaded.